By now, most businesses know that having a website is important. After all, your online presence can make or break your business. But is it enough to have any website, or do you need more than that? For small businesses, especially if you’re faced with cost challenges or limited technical skills, investing in a well-designed, professional website may seem daunting. Or if you already have a working (albeit outdated) site, you may doubt the value of a redesign. However, evidence and studies repeatedly point to the fact that good design is important, and your business’s website design impacts your customer experience, lead generation and ultimately, your bottom line. Your website design is important because your customers care about design. Whether consciously or not, we all react to visuals, and people are naturally drawn to good design. When it comes to your website, studies have shown again and again that users quickly judge your business based on visuals alone, and will often stop using your site if it’s poorly designed. When you come across an outdated-looking website, what does that make you think about the company? You may doubt their legitimacy, question their products or services, or even look at a competitor’s website for a better answer. Regardless, research shows we definitely judge businesses based on the look of their websites. First impressions are powerful, and what your website looks like can create a good impression or drive visitors away. While this study focused on healthcare websites specifically, the same is true for other industries. Speaking of first impressions, users form them almost instantaneously. According to a study from Google, it only takes 50 milliseconds (that’s 0.05 seconds)! In that split second, users don’t have a chance to read your site or click on anything. That fast first impression depends on the visual design. Poor design doesn’t only hurt your credibility, it can also drive away potential customers. People prefer to view content on beautifully-designed websites, and if your content is unattractive, you’re likely losing more than ⅓ of your visitors. But while there’s certainly some personal preference in how people interpret design, studies show a lot of consistency in how we perceive design. In fact, science and psychology support the idea that we are drawn to beautiful things, and people inherently react to good design. 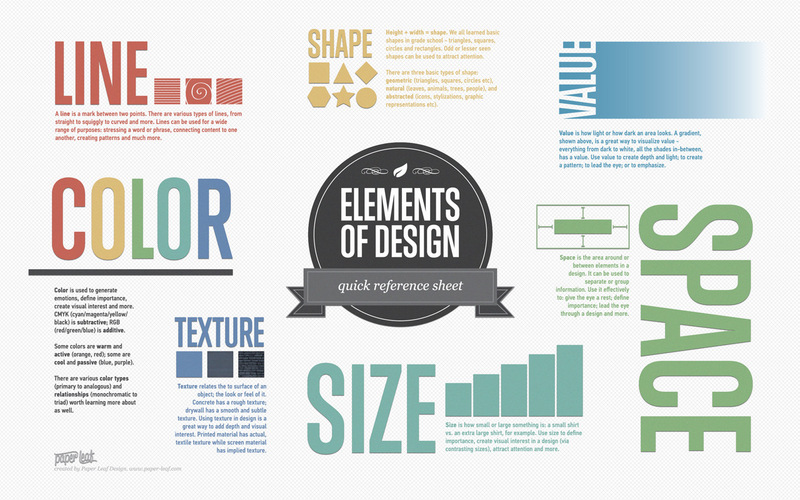 All designs use standard elements like color, shape, and size. A good design applies those elements to create a consistent visual language. In the same way, there is such a thing as “good design” and “bad design” for your website. While we may not all be equally skilled in communicating visually, designers are trained to speak in that language. Therefore it’s important to invest in a professional, well-designed website that communicates effectively with your customers and prospects. We’ve already proven that your customers care about good design, but how does your website design actually impact their experience? 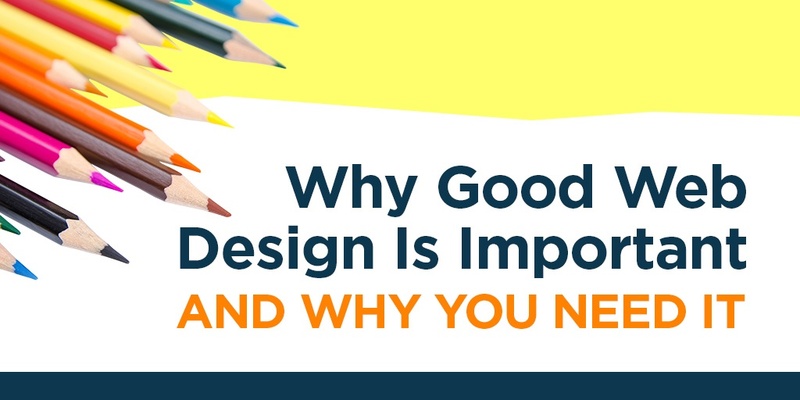 Let’s look at a few specific ways good design can improve your website. Design has a huge impact on how easy it is for visitors to find what they’re looking for on your website. Research shows that 86% of your website visitors want to see product or service information, 65% look for contact information, and 52% seek an About page for you business. Your design should make these things as easy to find as possible - otherwise you'll frustrate your users and potentially drive them away. Consider using standard conventions, like putting your primary services in your main navigation, and featuring your phone number in the upper-right-hand corner of your site. Even if your website functions perfectly, a bad design may make users feel that it’s harder to use or find what they need. Two Japanese researchers actually conducted a study on this. They created two ATMs that functioned identically, but one was attractively designed, and the second was not. Users reported that the aesthetically-pleasing ATM actually worked better. So good design impacts both usability and our perception of usability too. Your navigation is one of the most important elements of your website, so how it’s designed is critical. Here, many designers actually consider the psychology behind the design by applying Hick’s Law. So when we apply Hick’s Law to website navigation, we want to keep the choices as simple as possible to make it easier for users to decide where to go. As a good rule of thumb, try to limit the number of options to seven or less. Take, for example, this office furniture company. Their product menu has 11 different options - which is a lot of choices. If you look closer, you'll see that they have multiple similar categories like "conference chairs," "task chairs," "guest chairs" and "other seating." They could simplify their navigation by combining all those categories into a single option called, "Chairs." Good design helps guide your users’ eyes and tell them where you want them to look. On your website, your design can draw attention to special offers, highlight calls to action, and help users identify buttons and clickable elements. All these things can help drive users to take the actions you want. There are many different ways to optimize your visual design for conversion, but let’s take a look at couple common examples. One of the most effective ways to draw users' attention toward a desired action is to use white space - or open space - around your call to action. It's hard to talk about white space without mentioning Apple. They're known for clean designs and simple, bold images (like this iPhone) surrounded by a ton of white space. The message here is very clear: they want you to click on this phone - and with almost nothing else on the page to distract you, it's almost hard not to do. On the opposite end of the spectrum, take a site like Amazon. This page is crowded with information and product options, but one thing always jumps out: the yellow Add to Cart button. Even on a busy page, contrasting colors and styles create a visual hierarchy that draws your eyes toward that all-important conversion button. As we mentioned earlier, 3 out of 4 users will judge your business’s credibility based on your website design. Designs that look modern and professional tend to encourage trust. Meanwhile, a poorly designed website might make someone doubt your legitimacy. For example, if you were looking for a used car, which of these businesses would you trust more? Another way that good design improves trust is through brand consistency. Especially if you have a well-established brand, your customers probably recognize things like your logo, colors, or style. Your website should reflect your brand and help reassure people who know you that they’re in the right place. For example, take a look at these websites from two well-known shipping companies. 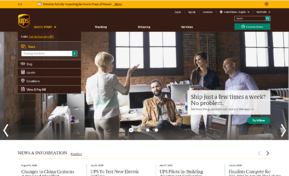 Even if you can’t read the logos, you probably recognize the distinctive color schemes of UPS vs. FedEx. The majority of online searches now happen on mobile devices, and that trend is only going to continue. And with Google now pushing a mobile-first approach, a mobile-friendly website design is a necessity to stay relevant and get found online. In fact, 85% of adults think a company's mobile website should be as good or better than their desktop website. Too often, web designers get caught up in making a website look perfect on desktop - like they would a brochure. But good website design must go well beyond a single screen. In today's mobile-friendly world, you need a responsive website design that will make your website look and function great on devices of all sizes. Finally, great website design isn’t just about the visual elements on the front end. How the design comes together behind-the-scenes can deeply affect things like search engine optimization. A website may look great on the outside, but if it has cumbersome coding or too many large images that make it slow to load, that can drive visitors away and negatively impact SEO. Designers can also sometimes get carried away with clever designs or technologies that look great, but ultimately hurt the optimization of a site. Is Your Website Design Making the Right Impact? Your website is one of the most powerful tools your business has to make a good first impression. But in order to do that, it needs a great design. While a great website involves much more than just the design, customers want and expect an attractive visual layout. And they’ll judge your business on looks before they read a single word. If you’re looking for website design and development services, let us know - we’re here to help! Or, check out our gallery for other examples of good website design at work!